One stretches along the border of Manila Golf Course, with a fully developed township called Forbes Town, composed by 4 Residential Projects and a number of establishments, including restaurants, a supermarket and coffee shops. 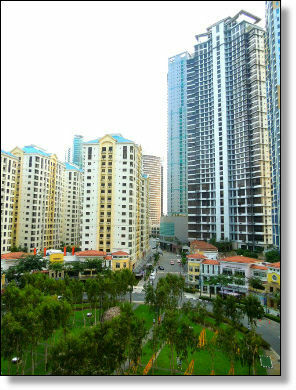 Forbes town is fully developed and the apartments in the residential towers are ready for occupancy. The other one is a larger township rising in the northern area of BGC called Uptown, with office towers, residential condominiums and the new Uptown mall. Uptown is a new development under construction and we will have apartments for rent as soon as the residential towers will be completed.